Does Insurance Cover the Cost of Root Canal Therapy? No one enjoys hearing that they need endodontic treatment to improve oral health. Although many patients are nervous about the procedure itself, most have more anxiety about the procedure fees. At Desert Dental Alternatives in Palm Desert, CA, we understand that spending your hard-earned money on dental treatment can be overwhelming. One of the most common questions we hear regarding this type of treatment is: Does insurance cover the cost of root canal therapy? If you are wondering the same, read on to find out. Before we delve into the costs of root canal treatment, we will briefly review the procedure itself. 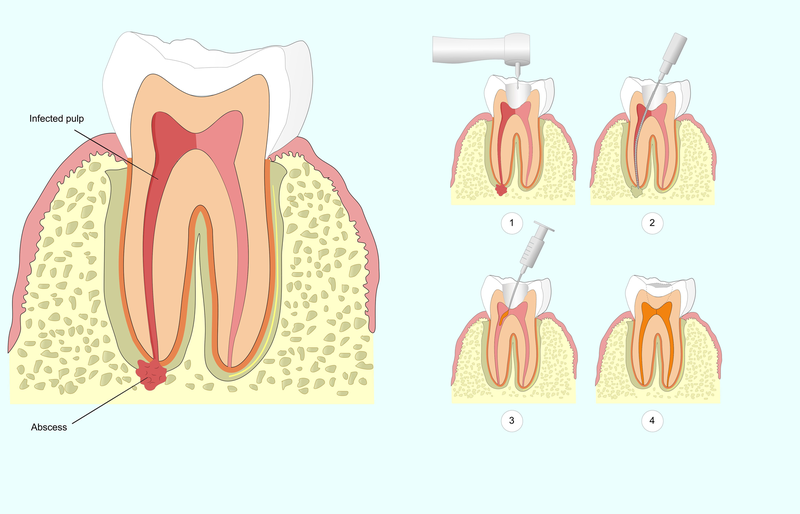 When bacteria reach the pulp chamber of a tooth, it becomes infected. Once this occurs, the only viable treatment options include root canal therapy or extraction. Root canal therapy eliminates the source of infection by removing the nerves, blood vessels, and other living tissues from inside the tooth. The inside surfaces are then cleaned and disinfected, and the canals and chamber are filled. Finally, the tooth is sealed to deter further contamination. Geographical location: Believe it or not, the location of your dentist is a significant factor. Typically, offices situated in or near large cities are more expensive, while rural areas are cheaper. Experience of the doctor: Generally speaking, the longer a dentist has been in practice, the higher the fees will be. Severity of damage: Treatment fees could be affected by the size of the cavity or the amount of damage. If more extensive treatment is required, the fees may be higher. Size of the tooth: Front teeth have single roots, while back teeth have multiple roots. Performing root canal treatment on a back tooth could take longer, therefore increasing the fees. Whether you have previously undergone root canal therapy: Occasionally, a tooth that previously received root canal treatment may need to be treated again. This is only recommended when the long-term prognosis is predictable. Retreatments tend to be more extensive. Therefore, the cost could be higher. Keep in mind that the above prices are only estimates. To determine the cost of your treatment, a consultation will be necessary. Dental benefits are certainly helpful. What many patients do not realize, however, is that dental insurance does not typically provide as much coverage as medical insurance. Insurance plans may cover the full cost of your root canal treatment. Other plans may pay as little as 35 percent. Before undergoing treatment, our financial experts will serve as the liaison between you and your insurance provider. Therefore, you will have a better understanding of how much your treatment will cost. To cover out-of-pocket costs, we also provide our patients with in-office financing through Capital One Healthcare and CareCredit®. If you require root canal therapy, understanding cost factors and insurance benefits up front can help diminish anxieties and worries. For more information, contact our practice online or call our office at (760) 324-4450.